We have a dream, that one day, the world will look back and say " I cannot believe that people were discriminated against because of the color of their skin or texture of their hair." Kurlee Belle's CEO Terrinique Pennerman, commented on Uptown Magazine's article, A Kink in the Plan: Why We Hate Our Hair. 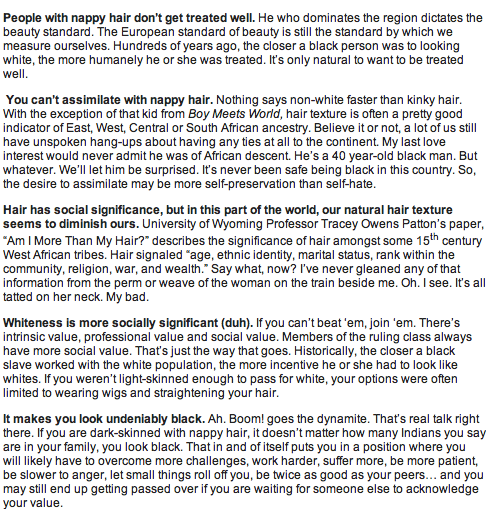 Written by, Sorilbran Stone, the article described many obstacles that are faced by people with natural hair. Do you think we as black people focus too much on the negative? Do you think the world will ever change their thoughts on our hair?